Everytime I go to a scrapbook store, I come home with more paper. Beautiful florals, petite polka dots, plaids — you name it and it’s probably in my stash. Some of it is so pretty that I almost hate to cut it. But the advantage of accumulating so much paper is that you have more opportunities for mixing and matching colors and patterns across different companies. Here I managed to match paper from Lawn Fawn, Echo Park Paper Company, and Core’dination and while I’m sad to use up some familiar papers, I now have room to spare for some new favorites. Mother’s Day is not far off and it was time to sit down and put together a card for my own mother. I wanted something a little different and by chance, I came across a company called Dreamerland Crafts and I fell in love with this image. Besides the fact that the image is adorable, I was drawn to the challenge of coloring that carnation. I wanted to see if I could capture the folds and depth of the real thing. Although I can’t really compete with Mother Nature, I think I came close enough for this card. And as for my mother – luckily, she doesn’t have internet access so she won’t see this until it arrives in the mail. Thanks Dad! I Turned out Awesome! This will be a busy weekend — my husband’s birthday is Saturday and Father’s Day is Sunday. My parents, brother, and sister-in-law will are coming by for lunch on Saturday to celebrate the dual occasions and to see the results of our recent home renovations. This will be our first picnic in our new court yard– still a work in progress because we need to add more plantings. But a garden is always a work in progress, even if it’s one that lives in a variety of containers. With company coming, I’ll have to get the house ready. My husband asked for apple pie for his birthday — and I never bake pies — so I have an culinary adventure ahead of me. But first, I needed to get a Father’s Day card put together so that I could (temporarily) put away my Copics and get ready for company. I love this image from Stamping Bella, but I’ll admit that the cape was an unexpected challenge for me. Initially, I tried the usual methods for shading folds (and by the way, I LOVE Sandy Allnock), but the result just looked too studied and out of place for this image. So after (literally) eight attempts, I finally realized that I was overthinking it and made my shading less technical and more casual. So here’s the final result. My dad will enjoy the tongue in cheek humor. Hope you like it too! 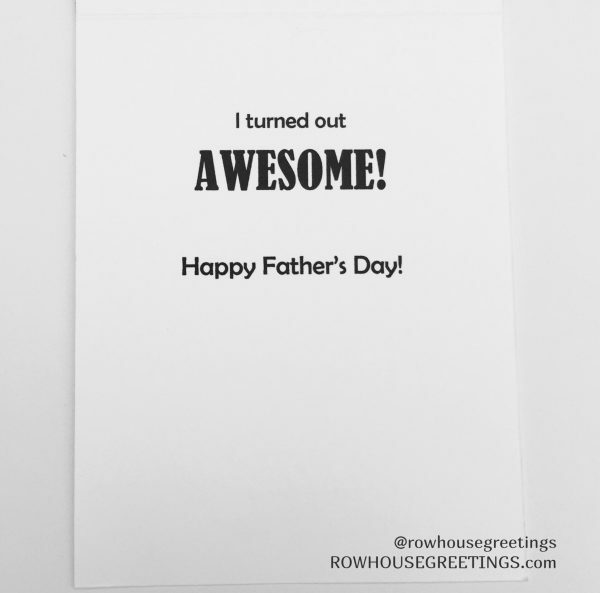 Today’s release from Power Poppy is extra special with the release of THREE new digital stamp sets just in time for Father’s Day. Creating masculine cards is always a challenge, but Marcella has come to the rescue with these “really fly” stamp sets! And to add to the fun, Power Poppy is featured this weekend over at the Passionate Paper Creations & Friends Facebook Group! Color up an image from a clear or digital stamp set, post it to the group, and one lucky winner to nab a $25 gift code to the Power Poppy Shop. Want to stock up on Power Poppy stamps to play along? Enter discount code MORECOLOR at checkout to get 10% off any clear or digital stamp sets that your little heart desires! So, now’s your chance! What are you waiting for? 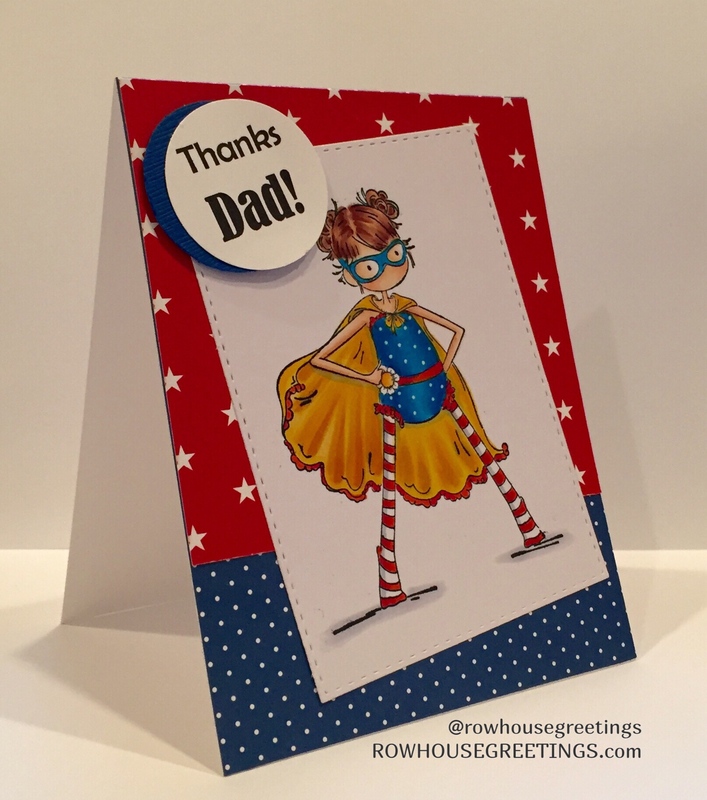 Just a quick Father’s Day Card using this adorable digital stamp from Mo’s Digital Pencil. I follow Max Stephens on Instagram who draws and colors some absolutely stunning Disney Princess images. The detail that he adds to the gowns is nothing short of amazing. So I had some fun with the dress, using first a Copics Spica Pen in Clear to add a little glitter and then a white gel pen to add some texture. While it’s nothing more than polka dots, it does add a bit of fun to a simple dress. Embellishments: Jack & Jill Enamel Dots by Echo Park Paper Co.